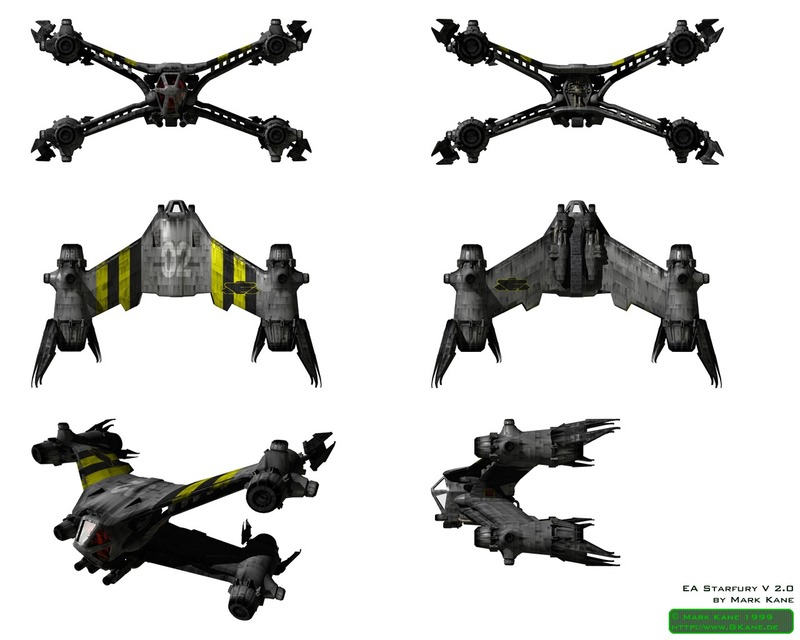 Description: The Coronet was a luxurious spaceliner constructed by Kalevala Spaceworks as a testament to Mandalorian engineering. 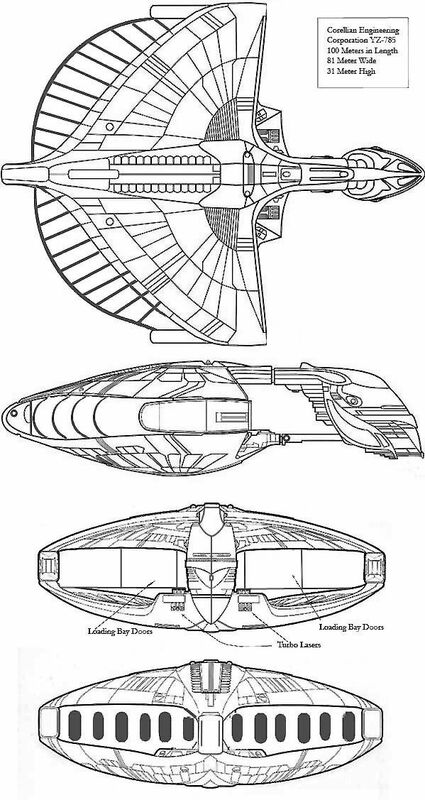 Used as the personal starship of Duchess Satine of the New Mandalorians, the Coronet was the only ship of its kind, designed and furnished with the finest materials Mandalorian space had to offer. Over two hundred meters in height, the Coronet was divided between stately cabins and elegant halls at its top, and utilitarian crew quarters and cargo holds in its long ventral spine. Despite the New Mandalorians' dedication to peace, the Coronet was equipped with both laser and ion cannons for defense. 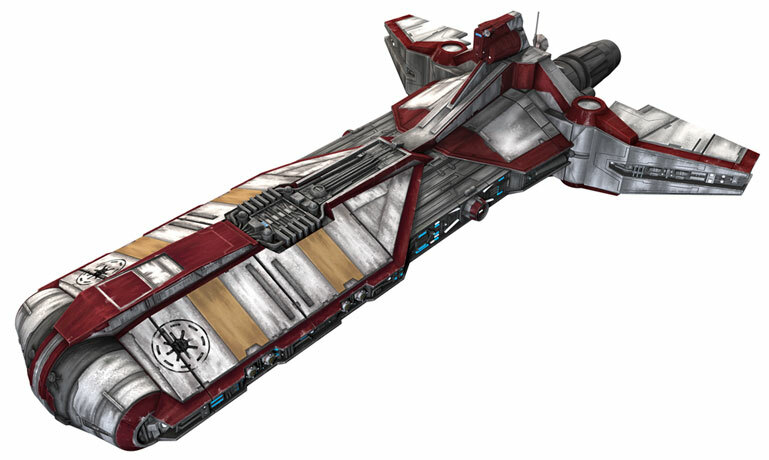 By the time of the Clone Wars, the Coronet saw significant use transporting Republic tourists to the planet Mandalore, and officials in the New Mandalorian government as well as Mandalorian entrepreneurs took advantage of the starliner's journeys between Mandalorian space and the Core Worlds to import and export cargo. Around 21 BBY, Duchess Kryze utilized the Coronet on a trip to the Republic capital world of Coruscant, to speak before the Galactic Senate. 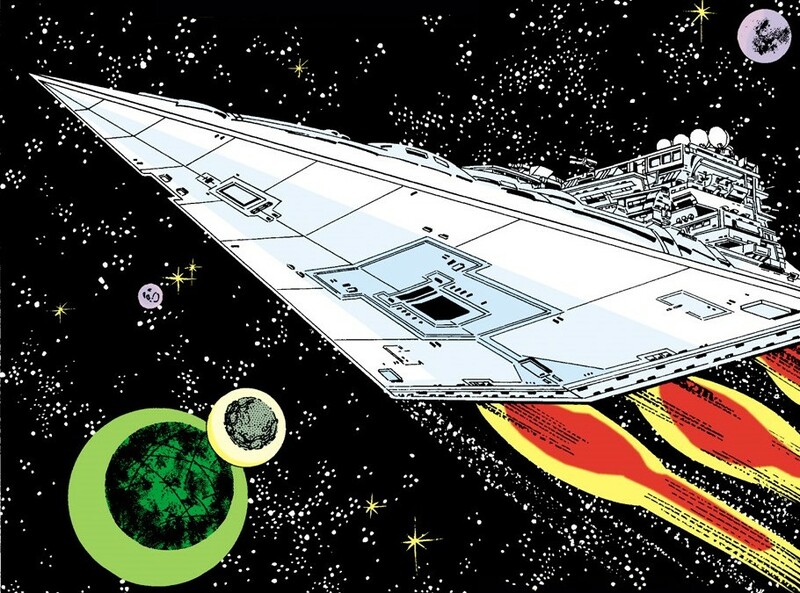 During this journey, however, the Coronet was attacked by Separatist battle droids aligned with the Mandalorian Death Watch splinter group, in an attempt to capture or kill Kryze. Fortunately for the New Mandalorian leader, Jedi Knights Obi-Wan Kenobi and Anakin Skywalker�along with a detachment of Republic clone troopers�were aboard, and managed to neutralize the droid attackers, saving Kryze and the Coronet, which safely landed on Coruscant. The vessel was built on Kalevala, the home planet of the Duchess Satine. It was considered to be a flying palace, with the interior being ornately decorated. The ship carried many 3PO-series protocol droids, BD-3000 luxury droids and LEP servant droids. It had an interior cargo hold. 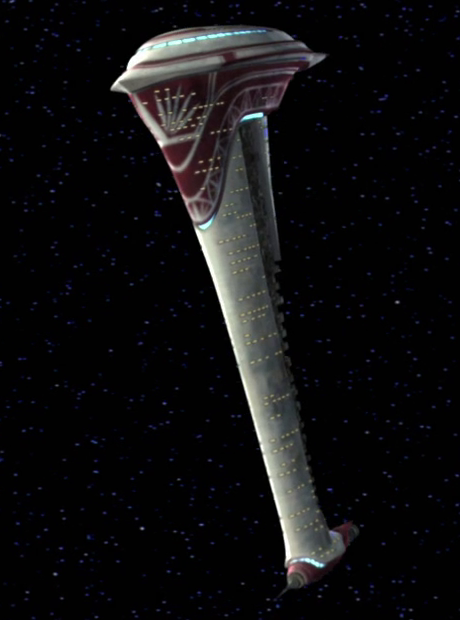 Around 22 BBY, the ship traveled to the planet of Mandalore to transport Duchess Satine Kryze to Coruscant. Before the ship left, Senator Tal Merrik had several boxes marked with the Senate seal smuggled on board. These boxes contained assassin probes. During the trip, the probes were released and unsuccessfully tried to kill the Duchess. Soon after, the vessel was attacked by three Separatist Droch-class boarding ships that released battle droids onto the Coronet. but the cargo and passengers should be higher! I only just watched the episode set aboard the Coronet, and I completely agree, it's way bigger than I thought. Although the episode only shows a dozen or so Clone Troopers, plus the council members and assistants aboard, I think there's probably room for loads more, I'll update accordingly. Made them higher, but not too much higher, it's still one of the most luxurious ships out there, wide corridors, massive cabins and dining facilities, and the cargo is so the passengers can take their speeders, and luxuries along with them. I'm really not sure about the line in the description "saw significant use transporting Republic tourists to the planet Mandalore", it doesn't seem likely, unless you imagine Air Force One taking on tourists, although I can totally imagine "officials in the New Mandalorian government as well as Mandalorian entrepreneurs took advantage of the starliners journeys between Mandalorian space and the Core Worlds to import and export cargo" to be true. As per many Clone Wars episodes, the Coronet gets taken over by a single person who pilots it to meet up with Separatist forces, so maybe the Skeleton crew should be 1? yea well Wookieepedia, they are not very accurate, because that description you put in, they said that its Legends, even though the show is Cannon!!!! Actually the book Clone Wars - Incredible Vehicles, has got a cut out of the ship, there are alot of stuff that you don't see!! and sorry no mention of speeders. The Air Force One thing, I think Satine takes over the ship for the "Mandalorian government" use and kicks off the passengers, then it becomes Air Force One, or Mandalorian One. Well the was thinking the ship cargo hold must be big for those assassin probes to hide from the Clone Troopers and Anakin Skywalker. And yes Skeleton crew should be 1. I think perhaps the D/6 Skeleton crew idea needs a rethink to tell the truth. In the situation with the Coronet (and a couple of episodes earlier with the Brain Worm controlled Clone Troopers) shows only 1 or 2 people piloting a ship. I imagine that there's engineers and the like below decks, who are required for the ship to move, but aren't aware of what's going on in the cockpit. So the number of people to operate the vessel might be higher, but those required to pilot it may be much lower (and of course a man with a gun on the flight deck might be able to control the ship by himself. I think it makes for a fairly fun idea for a bunch of players to take control of the bridge of a capital ship, and be able to steal it, but have to make sure all those working away to keep it running are unaware of their activity. "Sorry, the Captains in the toilet at the moment, he wasn't feeling well, but yes he sure you shouldn't open fire on that Rebel spacestation, we're going to dock at it instead!"